Hello everyone. 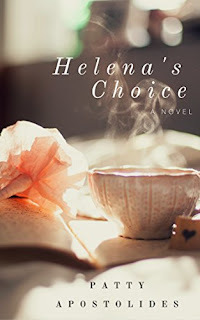 My book HElENA'S CHOICE has been added to the Maryland Writers' Association Contest. I need five votes to make it eligible for the contest. Right now I have three votes. if you could kindly take a moment to read and vote on my book HELENA'S CHOICE for the MWA contest, I would appreciate it. I need 2 more votes! I wrote this poem for a contest back in 2010, where they asked "What gets you out of bed in the morning?" This poem was the result. Enjoy! Would that the day never end. Would that life never end. Would that Love never end. That is why Love never ends.